As we reach the end of January, we wanted to share some exciting news with you — we’ve compiled our first Annual Report! 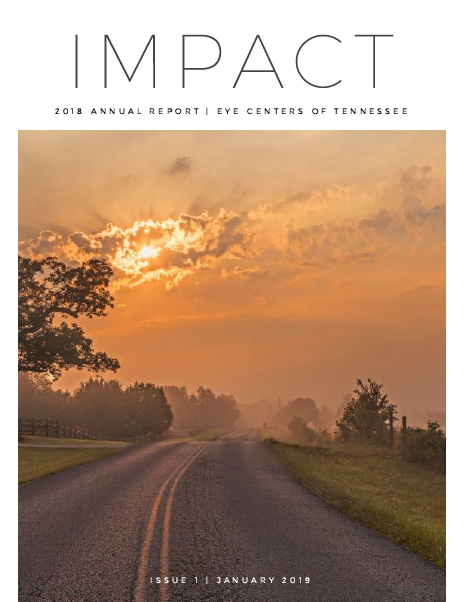 Inside this document, you’ll find information about the IMPACT Eye Centers of Tennessee has had on our local community, as well as details about philanthropic work we’ve done globally. We are proud to share a glimpse into the incredible work our team achieved in 2018, along with some hopes and goals for the future of our practice. Take a few minutes to flip through our 2018 annual report, and please let us know if you have any questions. We look forward to continuing to grow our reach and make a true IMPACT on the world around us in 2019. If you're not ready to call us yet, see what services we offer and how cost effective they can be. With four different locations hosting three ophthalmologists and five optometrists, we are dedicated to providing you and your family with the best possible ophthalmic care possible. 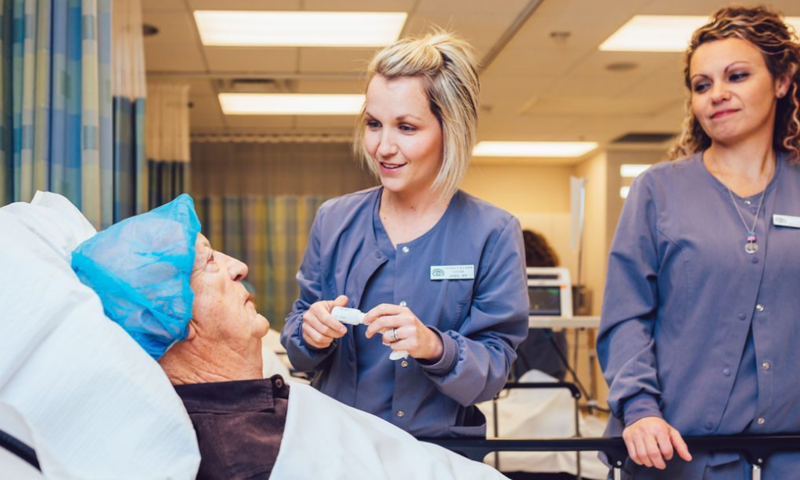 At Eye Centers of Tennessee, where "seeing is believing," we put patients first by providing you with the latest and greatest technologies available. 2019 Eye Centers of Tennessee. All Rights Reserved. Website by Crash Creative.